We're on board with the decision. Last year around 124,000 Brits cast their votes to name a new research vessel “Boaty McBoatface” but, ultimately, the decision was capsized by officials who instead opted to name the cruiser after Sir David Attenborough — a well-deserved honour, it’s true. But it’s no Boaty McBoatface. 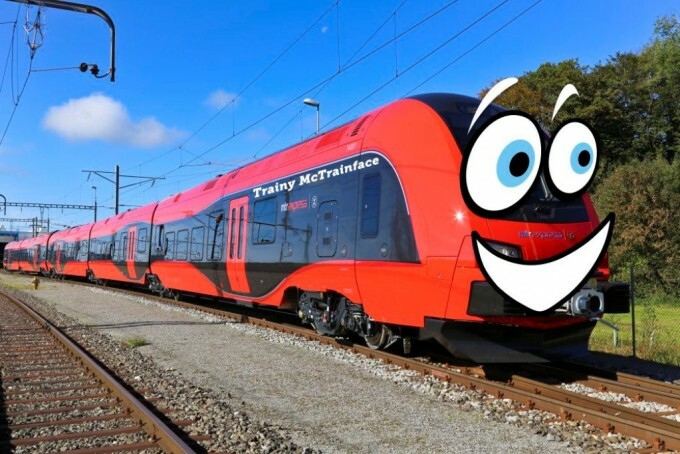 Fast forward to 2017 and Sweden has avenged Boaty McBoatface in the most perfect manner, naming its locomotive counterpart, Trainy McTrainface, in a ceremony in Gothenburg, Sweden, this week. Trainy McTrainface received 49 per cent of public votes, making it by far the most popular choice (understandably) in the MTR Express poll. Alongside McTrainface, two other trains, Estelle and Glenn, were named at the ceremony. While the UK may have regretted opening their naming poll to the public, MTR Express staff say they’re happy to be sticking with the people’s choice. Representatives told ABC News the naming will be “received with joy by many, not only with Sweden”. It’s safe to say we’re — ahem — on board with the decision. You can catch Trainy McTrainface — literally — between Gothenburg and Stockholm, Sweden. Tickets start at $28 (185SEK) for adults, one way. Check out Qantas flights to book your next adventure in Stockholm.